Why See Cirque Du Soleil - Volta? Cirque du Soleil returns with their spectacular VOLTA! Drawing inspiration from the world of street sports, the troupe's usual array of supremely talented aerialists, acrobats and dancers will be joined by BMX riders and skaters. VOLTA is all about blazing your own trail and fulfilling your potential. It's the story of transformation, about being true to oneself. It celebrates freedom as a movement. Waz, a popular gameshow host, has lost himself along the road of finding fame. But as doubt sets in, Waz becomes enlightened by memories of his childhood as he encounters Free Spirits who are able to open doors to his inner soul. Will Waz be able to reconnect with his true self and shine bright again? Founded in 1984, Cirque Du Soleil has become a veritable empire, creating dozens of shows that have played to millions across the globe. 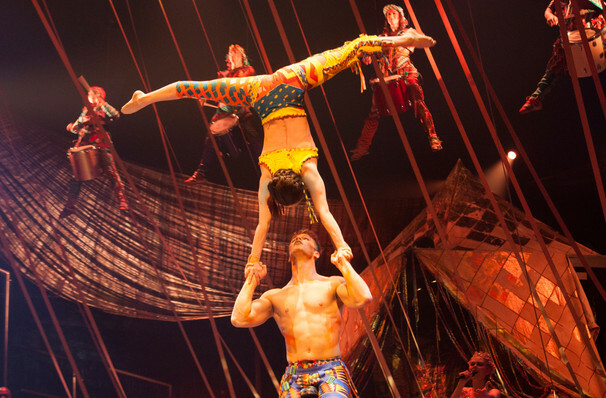 Famed not only for their acrobatic prowess, Cirque shows always boast stunning design, make-up and costumes, all built around storylines that weave together elements from ancient mythology and fairytales. 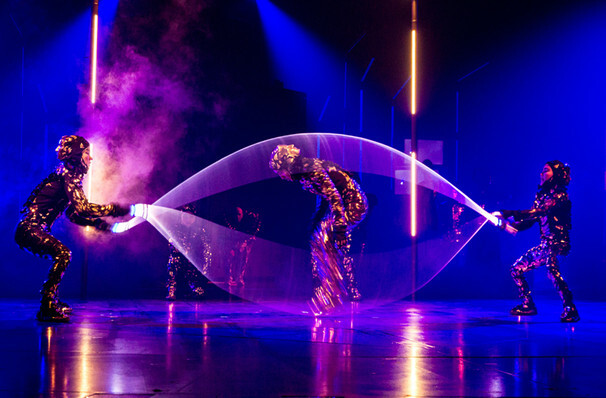 Alongside their own unique productions, such as Varekai and Kurios, they've frequently partnered with famous musical names, including The Beatles and Michael Jackson. Sound good to you? 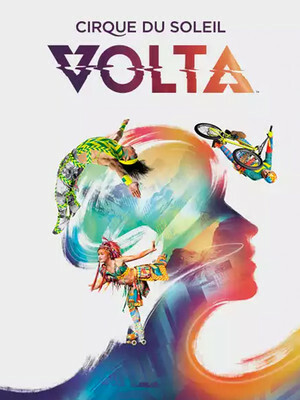 Share this page on social media and let your friends know about Cirque Du Soleil - Volta at Santa Clara County Fairgrounds. Please note: The term Santa Clara County Fairgrounds and/or Cirque Du Soleil - Volta as well as all associated graphics, logos, and/or other trademarks, tradenames or copyrights are the property of the Santa Clara County Fairgrounds and/or Cirque Du Soleil - Volta and are used herein for factual descriptive purposes only. We are in no way associated with or authorized by the Santa Clara County Fairgrounds and/or Cirque Du Soleil - Volta and neither that entity nor any of its affiliates have licensed or endorsed us to sell tickets, goods and or services in conjunction with their events.